This Saturday night the 9:30 Club hosts a killer night of punky ska music with DC’s Kill Lincoln, Boston’s Big D & The Kids Table, and the kings of DC ska The Pietasters. Do not miss this chance to see this legendary group on DC’s finest stage! Their 1998 song Out All Night remains one of my favorites. Hometown Sounds is proud to give away a pair of tickets to this skankin’ good time. Just leave us a comment with your favorite DC band below and you’re entered to win! The deadline is 2 PM on Friday, and if you aren’t our lucky winner then buy your $15 tickets in advance through TicketFly. What a fabulous line up! 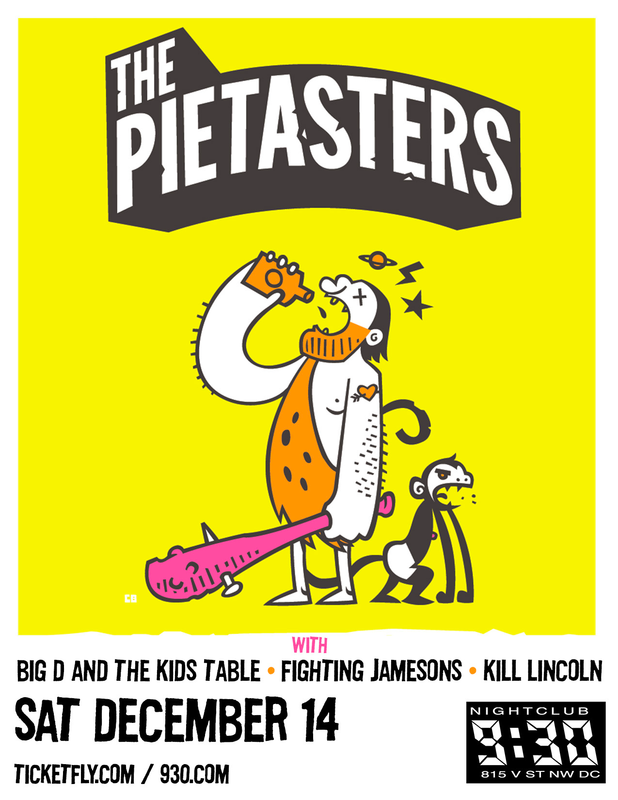 The Pietasters at Christmas,= Good Times! Favorite DC band… Gotta be Dag Nasty.